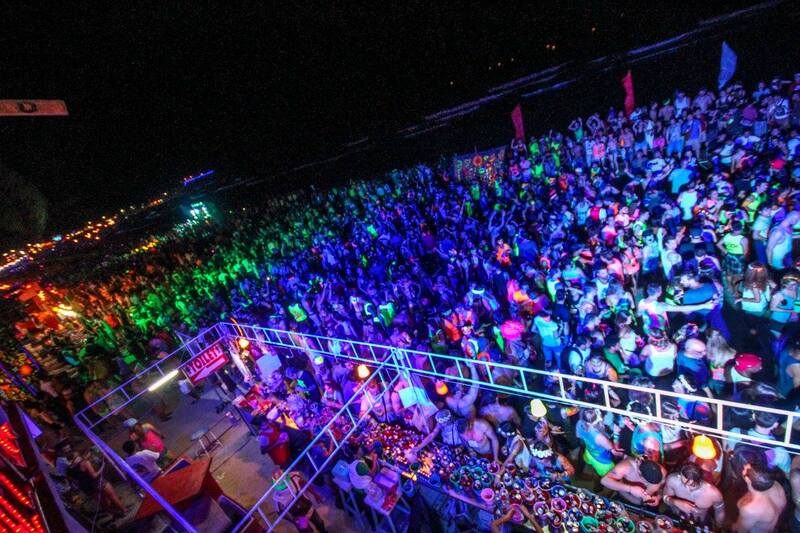 Before attending a Full Moon Party you probably want to think about social customs and your behaviour. The Thai people are very accommodating on Koh Phangan as they are well aware of the drunken antics that happen at Full Moon Parties, but that doesn't mean you should ever be disrespectful to their culture and traditions. 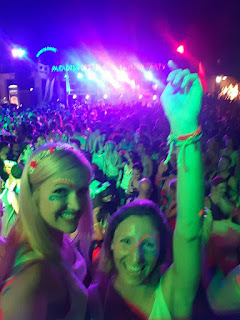 Having seen and experienced the Full Moon Party for myself I thought I'd share with you the dos and donts! Do: Get crazy dressed up and covered in paint! 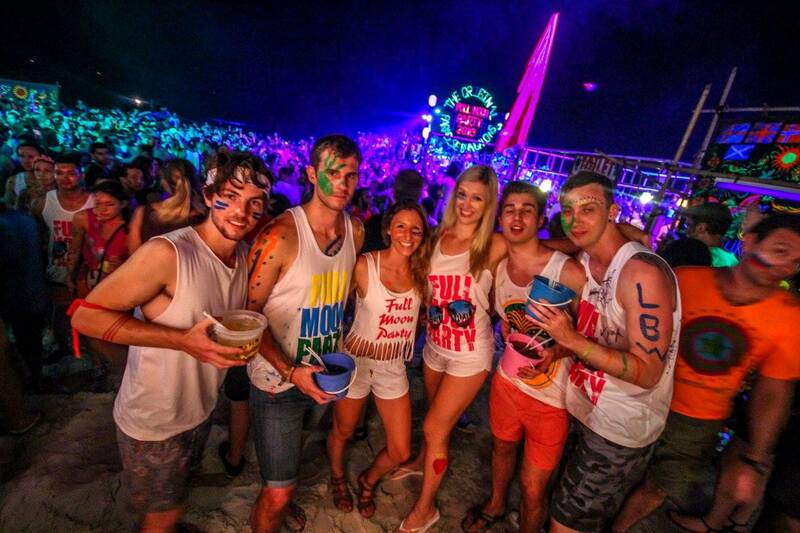 If you head out during the day you'll find hundreds of store selling shirts, skirts and shorts decked out in Full Moon Party designs. Not only is buying a new outfit from the markets a great way to support the Thai people, you'll also fit right in with all the other partygoers. It is quite common for people to rock brightly coloured shirts and thongs (and by that I mean flip-flops!!!) to the beach so don't go getting all glammed up ladies because you'll sweat off your makeup in minutes.Feel free to cover yourself in body paint as well (particularly glow in the dark) to truly get into the spirit of the night. Be sure to wear something on your feet as there is always a tonne of broken glass on the beach and you don't want to be taken home early thanks to cut feet. I know, I know, you want to take an epic selfie at the Full Moon Party for all your friends, but make sure you're willing to potentially part with your iPhone before the night is over... The beach and bars are rife with pick pockets and thieves in general, so if you aren't paying attention your phone and wallet are likely to end up "Missing in Action". I bought myself a little wallet pouch on a string that I could wear around my neck. It could fit my phone, room key and some money and, although it didn't look ultra fashionable, managed to keep me in control of my possessions allllllll niiiiiiiiight long. Following on from the previous "don't", be sure that you do watch your drink to make sure it doesn't gain the attention of unwanted bystanders. On the night of my Full Moon Party, myself and my companions watched as a guy walked through the crowd with a massive bag of pills, dropping them randomly into peoples buckets. We told as many people as we could and tried to find police, but in a crowd of 30,000 it was highly unlikely we'd see him again. Why anyone would want to drug innocent people is beyond me, but it made me extra cautious when buying a drink. Be sure to keep an eye out for your mates as well, particularly those who've had a few more drinks than they can handle (hey Anne-Marie!). Don't: Forget toilets cost money! Buckets are deadly drinks if you head down that pathway, so make sure you spend a few baht here and there during the night to buy yourself a few bottles of water. If you plan to stay out all night your going to need to try to negate the affects of the alcohol as much as possible, so drink water and eat throughout the night. Making sure you're well hydrated will also help with your soon to be hungover self. So in your drunken state you might think that jumping a giant burning rope soaked in fuel sounds like a good idea... Write it on your head if you have to, IT'S NOT! No idea what I'm talking about? Well one of the iconic events of the Full Moon Party is the burning skipping rope. It is literally a giant rope which is set on fire and willing tourists are encouraged to "jump" it. Let me tell you, there is less jumping and more screaming in pain coming from the area which houses this dangerous activity. If the idea of getting 3rd degree burns and ruining your holiday doesn't scare you I don't know what will. Just stay away or only watch if you must. I actually don't even know what that means, but what I mean is party like the crazy cat your are! No matter where you are on the beach, you're in for one epic night. This pic on the right is of me and my travel bestie, partying it up on the main stage! Be sure to wander all the way down to experience everything there is about this insane night. 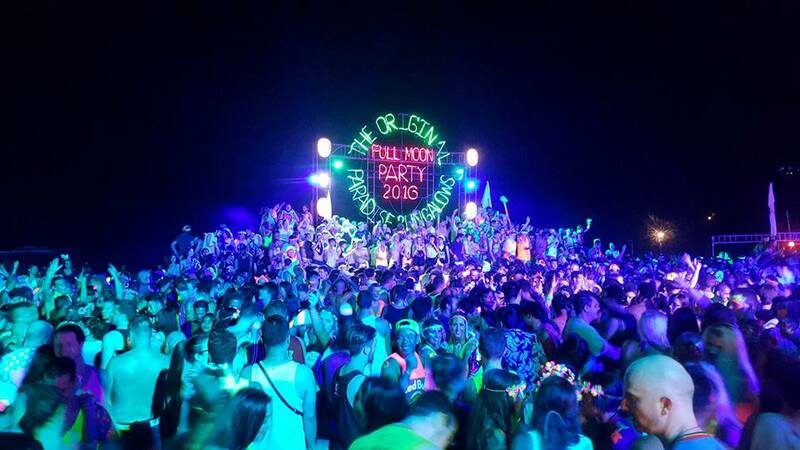 You're at the Full Moon Party for a reason, so dance the night away, drink with your mates and have an amazing time in the open air, on the beach, in THAILAND! In case taking drugs isn't illegal in your home country (cough...), I'm here to remind you that it is DEFINITELY illegal in Thailand. If you are caught in possession of a banned substance you can be thrown into jail... not a great look on your college CV. The Thai police will often go undercover and attempt to sell you drugs, and if you are stupid enough to buy them they'll suddenly activate cop mode and arrest you on the spot. Locals are also rewarded for dobbing you in, so the safest advice is to just avoid them completely! Do your very best to make it all night and watch the sun rise over the ocean. It is a truly special way to end the night and to make the memory more than just a party. The sun rises at different times depending on the season you travel, but it's generally between 6-7am. 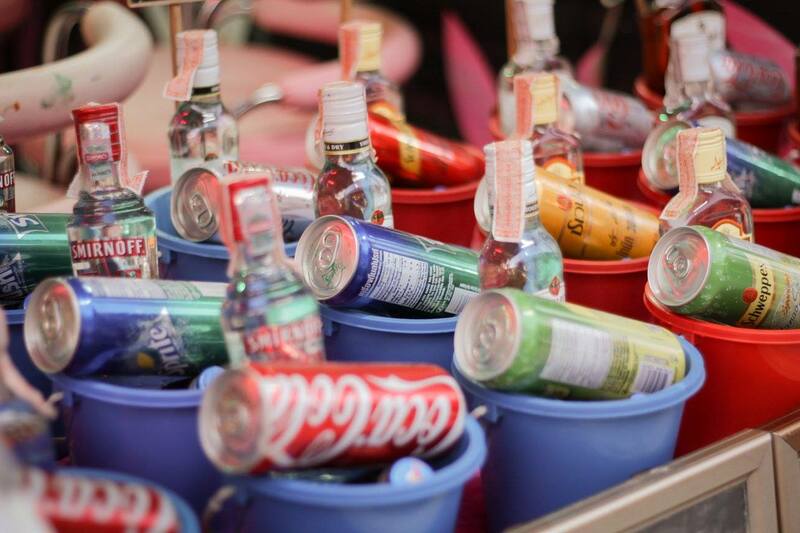 Gather up your friends and salute the end of your crazy night in style... then go home and sleep off the hangover! There is no way in hell I would ever recommend missing the Full Moon Party because it is truly a night to remember (if you can), but I would strongly suggest taking precautions and listening to my words of wisdom (lol sorry). You really can't beat the food at this place; they have the best vegetarian meals and the most adorable dishes for the kids. The service at venues in NYC also was impeccable. The salad I had for dinner was delicious as well as the scallop appetizer. The main course of filet mignon and dessert soufflé was also awesome!